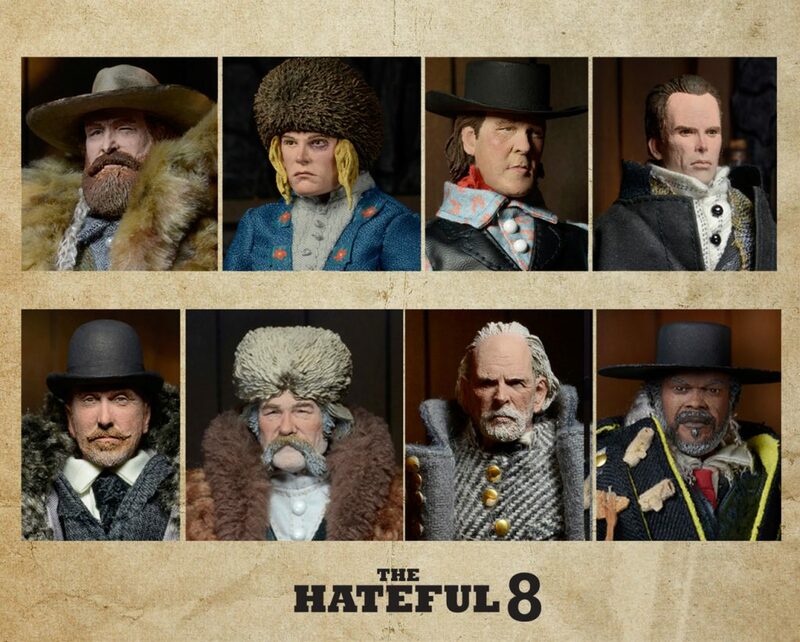 The Hateful Eight Clothed 8” Action Figures Reveal and Pre-order Info! You are here: NECAOnline.com » Blog » News And Announcements » The Hateful Eight Clothed 8” Action Figures Reveal and Pre-order Info! 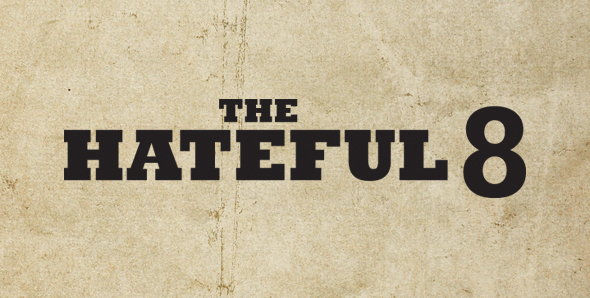 For Quentin Tarantino’s eighth movie, we have a special treat for fans! Our newest retro clothed action figure line features all eight main characters from The Hateful Eight, and is a limited edition release – only 3,000 of each will be made available globally. Each fully articulated figure stands 8” tall and is dressed in intricately tailored fabric clothing, similar to the iconic toy lines of the 1970s. All feature authorized likenesses, and come with character-specific accessories from the movie, like pistols, rifles, shackles, gun belts, holsters, and more, in window box packaging. ONE PRODUCTION RUN ONLY. These action figures are intended to be representations of their movie counterparts, and should not be construed as social or political commentary on the part of the manufacturer.